How will the CFPB regulate payday loans under Trump administration? How the Consumer Financial Protection Bureau (CFPB) will regulate payday loans under the Donald Trump administration has been a topic of debate over the last few months. While taking the White House, President Donald Trump has indicated his intentions and what action he plans to take on what is commonly known as the Dodd-Frank Act. President Trump has clearly stated that in his opinion, the Act was a disaster and that it impeded growth. 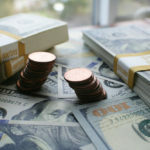 President Trump has said that the banking legislation put in place by the Barack Obama administration in response to the financial crisis of 2008, actually made it more difficult for banks to lend money to consumers and small businesses. Recently, Trump has signed an executive order which indicates that he still holds on to his views stated above. He appears keen on cutting out a lot from the Dodd-Frank Act. 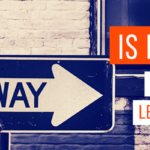 What are payday loans and why do they need to be regulated? Before we proceed any further with this write-up, it would be prudent to look at what payday loans are and why exactly many want them regulated. As the name suggests, a payday loan is directly linked to the borrower’s payday. 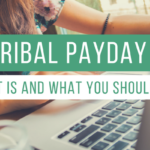 It is also called a payday advance, payroll loan and salary loan. A payday loan is extended only to a consumer with a previous payroll and employment record. Essentially, a payday loan is often a short-term borrowing of a relatively small amount at a very high rate of interest. The borrower writes a post-dated check from his personal account for the amount that he borrows plus a fee in exchange for cash. The lender cashes the check on the agreed date, which is generally the borrower’s next payday.Legislation pertaining to payday loans is widely different in various countries. In the United States, payday loans are legal in 27 states whereas in 9 other states, some form of short term lending is allowed with certain restrictions. In the remaining 14 states and in the District of Columbia, payday loans are forbidden. In some jurisdictions, there are limitations on the annual percentage rate (APR) while in a few others, there are limits on the number of such loans that can be taken by a borrower at any given time. The limitations on the annual percentage rate were designed to prevent usury, i.e., excessive and unreasonable rates of interest being charged to the borrowers. Under the Dodd-Frank Wall Street Reform and Consumer Protection Act, specific authority was given to the Consumer Financial Protection Bureau (CFPB) for regulating all payday lenders, irrespective of their size. 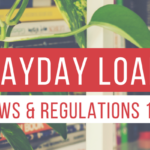 Several enforcement notices have been issued by the CFPB against numerous payday lenders for aggressive collection tactics. The CFPB also answers questions pertaining to payday lending on its website. Arguments have been made both for and against payday loans for decades now. While some have argued that payday loans carry significant risk to the lender, (Chargebacks, default rates) this argument is rebuked by those who oppose such lending. Studies have been conducted by many profit and non-profit organizations as well as State and Federal regulators. Out of all Americans over 65 years of age, one in five has either suffered at the hands of some unscrupulous financial service or the other or has been a victim of some financial scam. The Consumer Financial Protection Bureau (CFPB) was formed with an intent that financial products and services such as credit cards, loans and mortgages on which most Americans depend on an everyday basis, work better for the users. The CFPB was established under the Dodd-Frank Wall Street Reform and Consumer Protection Act of 2010. The CFPB oversees the concerned Federal financial laws with a view to ensuring that the providers of credit cards, banking, home loans and other similar services play by the rules and the interests of the users stay protected. The CFPB also helps people understand the fine print and the risks involved in various financial transactions mentioned above. It cannot be denied that the so-called non-banking financial institutions do provide access to credit and payment systems to many individuals who may not be able to avail these services and products from traditional banks. However, it has been found that many such providers of products and services have many hidden fees and undisclosed fines which make these services and products unrealistically and prohibitively costly for many if not all users. Regulating these institutions results in protecting the users against unfair, abusive and deceptive practices and ensures provision of upfront and clear information to the vulnerable users. They idea is to allow consumers a chance to know their rights and responsibilities before getting trapped by the endless cycle of payday loan debt. It may be worth noting that payday lenders charge up to 400-784 percent per annum interest in addition to huge penalties for non-payment or delayed payments. The borrowers often fall into a debt-and-fee spiral which is hard to escape and leaves much fewer funds to make payments for essentials. So, the question becomes is these loans are doing more harm than good. It is widely understood that the recent executive orders passed by the Donald Trump administration, lays the groundwork for significant changes to the current law and may even lead to replacement of the Dodd-Frank Wall Street Reform and Consumer Protection Act of 2010. The laudable Consumer Financial Protection Bureau, an agency formed under the Dodd-Frank for guarding the gullible against misleading or abusive retail financial products may see some dramatic changes. Trump is likely to find support for providing regulatory relief to small and mid-sized banks. Expensive burdens on such banks prevent them from lending to local communities and small businesses. Some targeted relief to community banks would be appreciated by most economic experts. The exact manner and extent of regulation of payday loans by the CFPB under the Trump administration is the subject matter of intense debate and speculation which will soon unfold.